A parabola is a stretched U-shaped geometric form. It can be made by cross-sectioning a cone. 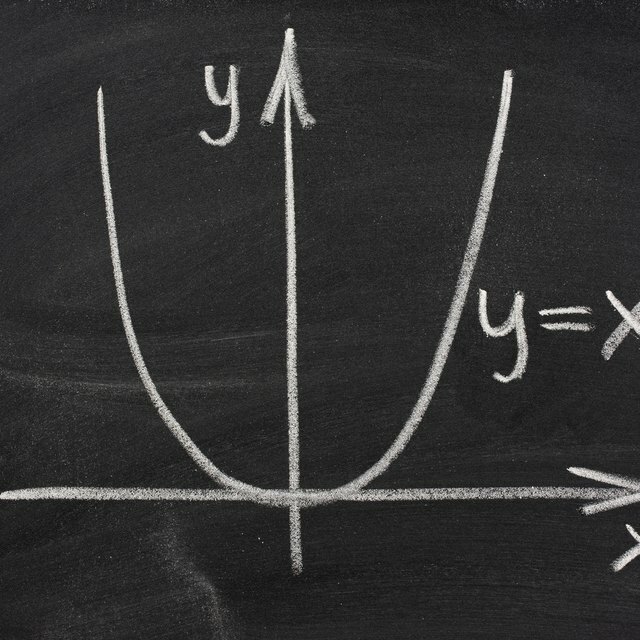 Menaechmus determined the mathematic equation of a parabola is represented as y = x2 on an x-y axis. Parabolas can be seen in nature or in manmade items. From the paths of thrown baseballs, to satellite dishes, to fountains, this geometric shape is prevalent, and even functions to help focus light and radio waves. Parabolas can, in fact, be seen everywhere, in nature as well as manmade items. Consider a fountain. The water shot into the air by the fountain falls back in a parabolic path. A ball thrown into the air also follows a parabolic path. Galileo had demonstrated this. Also, anyone who rides a roller coaster will be familiar with the rise and fall created by the track’s parabolas. Even architecture and engineering projects reveal the use of parabolas. Parabolic shapes can be seen in The Parabola, a structure in London built in 1962 that boasts a copper roof with parabolic and hyperbolic lines. The famous Golden Gate Bridge in San Francisco, California, has parabolas on each side of its side spans or towers. Parabolas are also commonly used when light needs to be focused. Over the centuries, lighthouses underwent many variations and improvements to the light they could emit. Flat surfaces scattered light too much to be useful to mariners. Spherical reflectors increased brightness, but could not give a powerful beam. But using a parabola-shaped reflector helped focus light into a beam that could be seen for long distances. The first known parabolic lighthouse reflectors formed the basis of a lighthouse in Sweden in 1738. Many different versions of parabolic reflectors would be implemented over time, with the goal of reducing wasted light and improving the surface of the parabola. Eventually, glass parabolic reflectors became preferable, and when electric lights arrived, the combination proved to be an efficient way of providing a lighthouse beam. The same process applies to headlights. Sealed-beam glass automobile headlights from the 1940s to the 1980s used parabolic reflectors and glass lenses to concentrate beams of light from bulbs, aiding driving visibility. Later, more efficient plastic headlights could be shaped in such a way that a lens was not required. These plastic reflectors are commonly used in headlights today. Using parabolic reflectors to concentrate light now aids the solar power industry. Flat photovoltaic systems absorb the sun’s light and free electrons, but do not concentrate it. A curved photovoltaic mirror, however, can concentrate solar power much more efficiently. Huge curved, mirrors comprise the enormous Gila Bend parabolic trough solar facility, Solana. The sunlight is focused by the parabolic mirror shape in such a way that it generates very high heat. This heats tubes of synthetic oil at the trough of each mirror, which can then either generate steam for power, or be stored in massive tanks of molten salt to store energy for later. The parabolic shape of these mirrors allows more energy to be stored and made, making the process more efficient. The shimmering, stretched arc of a rocket launch gives perhaps the most striking example of a parabola. When a rocket, or other ballistic object, is launched, it follows a parabolic path, or trajectory. This parabolic trajectory has been used in spaceflight for decades. In fact, airplanes can create zero- and high-gravity environments by flying in parabolas. Special airplanes fly at a steep angle, giving a higher-gravity experience, and then drop into what is called freefall, giving a zero-gravity experience. Experimental test pilot Chuck Yeager went through such tests. This has provided tremendous research for both human pilots and their tolerance of spaceflight and flying in various gravities, to performing experiments requiring low or zero gravity. Such parabolic flights save money by not having to perform every experiment in space itself. Consider the satellite dish. These structures have a parabolic shape, allowing the reflection and focus of radio waves. In much the same way that light can be bent, electrons can be as well. It has been discovered that beams of electrons can be sent through holographic film and curved around barriers in a parabolic fashion. These are called Airy beams, and they do not grow faint and diffract. These beams may prove useful in imaging. From spaceflight and car headlights to bridges and amusement parks, parabolas can be seen everywhere. Not only is a parabola an elegant geometric shape, its functional capability aids humanity in many ways. Dianne, J.. "Real Life Parabola Examples." Sciencing, https://sciencing.com/real-life-parabola-examples-7797263.html. 23 April 2018.